Today's author was the first woman to host an NHL hockey broadcast on network TV and when she broke into writing young adult fiction, it made sense that she would focus on sports. Her second novel, MUCKERS, came out in October. Please welcome Sandra Neil Wallace! Before I became a novelist, I worked as a news anchor and ESPN reporter covering events across the country. It was an exhausting schedule that meant plane travel four times a week. And the truth was all I wanted to do was write. I lived in Sedona, Arizona, at the time, and spent my days off searching for a story in a nearby town that had captivated me. Once a billion dollar copper camp, Jerome, AZ--perched on the side of a mountain—defies gravity. I thought I’d write about the pioneering women of Jerome, but it seemed their fortunes were made from owning brothels and those stories had already been written. Then one day, the archivist at the historical society showed me a box that had been donated. In it were yearbooks and snapshots of people picnicking in the Gulch one hundred years ago, but then dozens of letters tumbled out—all written by young men to the principal of Jerome High School. The poignant letters were mostly written by Mexican Americans and spanned nearly three decades, from 1930 up to the Korean War. Some were penned from the bunks of battleships on their way to Iwo Jima, while others spoke of segregation in the town of Jerome itself. I stayed up all night reading them, because I knew they were too important to let go of. 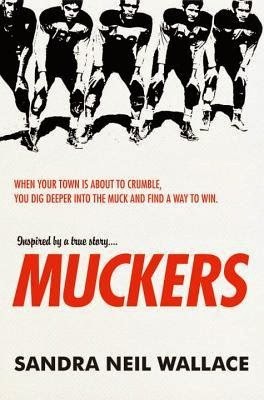 But no matter how dire the letters were, they always signed off with hopes of a Muckers football victory. So I connected the yearbooks to the local and state papers, and discovered an incredible sports story—the 1950 Jerome Muckers fought impossible odds including racism, the closing of the mine, and playing on a rock field (there is no lawn in Jerome), to vie for a state championship. But then the town became a ghost town and the story was forgotten. I contacted the surviving players who helped me discover what it was like to play on that final football squad, and how their team became a beacon of hope for the community and each other. And I wrote much of the novel in their abandoned high school and on the rock field itself. Writing historical fiction takes on a deeper meaning when it’s based on a true team and a town, but it also made crafting my own characters more challenging. Authors have asked me why I chose to write Muckers as historical fiction instead of nonfiction. It was an easy decision. First, there were too many “holes” in the biographies of the deceased players and coaches that I was unwilling to fill with speculation. Second, I’d formed strong connections with surviving players and community members. Historical fiction gave me the freedom to explore the critical, yet thorny issues of racism, war, Communism, and the class stratification brought on by the socio-economic realities of post World War 2 America. What was important was capturing these issues and their impact on a1950 northern Arizona town in the most compelling story form. That meant creating my own characters. 1. View history as structure. Some writers say they get bogged down in historical minutia or an era. I avoid this by selecting a specific snapshot in time and using it as the skeleton of my story. In Muckers, I mirrored the football season timeframe from the actual Jerome Muckers year, which took place over three months, and made my novel occur within that period. This way I knew where I needed to be in terms of the Korean War (U.N. forces were winning), segregation, and the Communist scare. It’s true that history doesn’t occur in a way that’s convenient for plotting, but this timeframe gave me the structure I needed to map out a plot. 2. Know the perspective of the time period. You have the perspective of time and analysis but your characters don’t. Even if your main character is a time-traveler, the other characters aren’t. What conclusions would they come to, however faulty? This is always my favorite part of research and shaping my characters. In an article in the New York Review of Books, Ian McEwan wrote about how John Updike elevates his characters’ knowledge and not to “chop them down to what you think is the right size.” The balance between what a character is feeling and intuiting and what actually happens is where I think the best writers do the most exploration. 3. Get the reader emotionally invested by attaching an unexpected emotion or situation to a moment in history. In my husband Rich Wallace’s novel War and Watermelon, he frames the first moon landing in a humorous way by having his main character battle food poisoning. He gets play-by-play of the event from his family while he’s on the toilet. Now that’s a scene you don’t forget. In Muckers, I have my characters articulate racism by bowling in a condemned jail. Tossing rocks at beer bottles named after the bigots they loathe gives them a sense of control and enables them to actually take action later on. Authors Sandra Neil Wallace and Rich Wallace will host a workshop next fall on turning historical research into fiction. Visit www.highlightsfoundation.org for this and other workshops on writing for children and teenagers. The first woman to host an NHL hockey broadcast on network TV, Sandra is now a full-time author. The former news anchor and ESPN sportscaster may have snagged her greatest lead yet in uncovering the inspirational achievements of the 1950 Jerome Muckers football team. She discovered the story of a racially-divided town and a team who must find a way to win, while sifting through a box of letters and other memorabilia at a small Arizona historical society. The trail of letters led her to write Muckers (Random House/Knopf 2013). Sandra was named an outstanding newcomer to the children’s literature scene by the Horn Book following the publication of her first novel, Little Joe. The novel was a state awards finalist and a national reading pick for the U.S. Department of Agriculture and the American Farm Bureau classroom programs. Her next book is a children’s biography of sports legend Babe Didrikson Zaharias. Sandra lives in New Hampshire with her husband, author Rich Wallace. 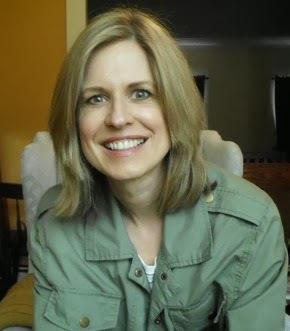 Former ESPN sportscaster Sandra Neil Wallace (wife to Knopf author Rich Wallace) makes her young adult novel debut with a historical fiction story that is equal partsHoosiers and October Sky. Felix O'Sullivan's world is crumbling around him: the mine that employs most of town is on the brink of closing, threatening to shutter the entire town. And Felix, or Red, after his fire-colored hair, will be one of 24 students in the final graduating class of his local high school. But Red's got his own burdens to bear: his older brother, Bobby, died in the war, and he's been struggling to follow in his footsteps ever since. That means assuming Bobby's old position as quarterback, and leading the last-ever Muckers team to the championship. Maybe then his angry, broken-hearted father will acknowledge him, and they'll be able to put Bobby's death behind them. But the only way for the hardscrabble Muckers team to win State is to go undefeated, and tackle their biggest rival, Phoenix United, which would be something of a miracle. Luckily, miracles can happen all the time on the field. Fans of Friday Night Lights and Tim Tharp's Knights of the Hill Country will take to this enthralling story of a town rallying together to turn a tragedy into a triumph. Wow. What a terrific post. I will be printing this out and posting the link on my blog. Thanks for posting this. Sadly, I could not find a workshop with both the Wallaces on the faculty. I usually attend one workshop a year at Boyd's Mills and would certainly be interested in one with them leading. Hi Rosi. We haven't firmed up the date for that workshop yet, but the date and info will be posted soon--probably before the end of December. Hope to see you there! It will be in the fall. write me at richxw@aol.com if you'd like more info. Am just finishing reading this book right now. Thanks for all of the backstory. Readers can tell that Sandra really did her homework to write this book! What a cool backstory! And great advice on integrating history. What a good pos, and this sounds like a terrific read. I write historical fiction, and I particularly appreciated the three writing tools. But, like Nicole, I enjoyed the backstory to the book.